If possible, keep your covering letter to a single page. Too much information, especially if it is not relevant to the job, may detract from the letter. Your statement addressing the selection criteria is the place to give more detailed information about yourself and your ability to do the job. 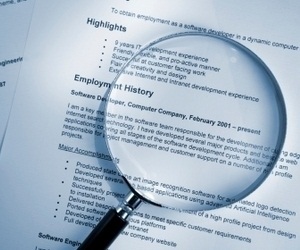 What should your cover letter include? I am passionate about working in the customer service industry and would like to obtain full time employment in this line of work. My exposure in trade retail has given me extensive knowledge of trade products and techniques, as well as strong customer service skills. I am currently working as a Night Fill Team Member but open to opportunities as a Dispatch Clerk, Shelf Stocker, Stores Assistant, Warehouse Assistant. • Ability to relate easily to diverse range of people. • Function well as a team member. Click the button below for getting the PDF version and Printing this sample Resume template for building your own related Resume. Hi! I am an Internet Researcher and Content Optimiser based in Perth(Western Australia). Have Worked and done Projects in Adelaide (South Australia) and New Delhi (India). Follow me on Google+ .